France – UrbanVoices has been held in the French city of Nantes each July for the past six years and features a 1,000-strong choir of Nantes singers from seven to 89 years old. 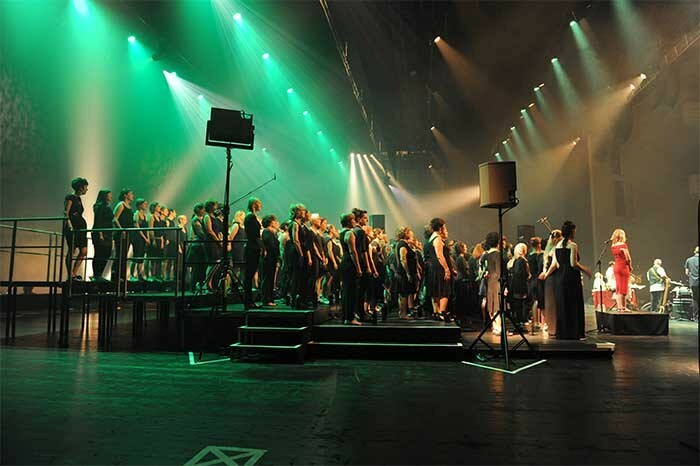 This is spectacular in itself, but this year the audience experience was further enhanced with the use of L-ISA Live, the latest sound reinforcement concept introduced by L-Acoustics founder Christian Heil. UrbanVoices is a multi-faceted project organised by the association of the Cité Monde [World City] which takes place over several months and is open to the entire city of Nantes. Karim Ammour is artistic director and creator of the project, entitled The City is Beautiful, and also its composer and conductor. It is an eclectic programme which honours mankind and nature and features compositions that range from reggae, soul, pop and gospel to rhythm and blues, with the thousand singers accompanied by a singer/guitarist, three beatboxers, a percussionist and a DJ. 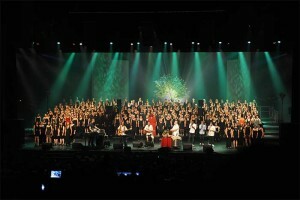 With 40 singing rehearsals spread over eight weeks in 18 different locations, starting at the end of April, UrbanVoices is an amazing musical adventure that culminated in the Grand Collective Urban Nantais, held on the 9th and 10th of July in the 2,000 seat Grand Auditorium of La Cité Des Congrès Nantes. 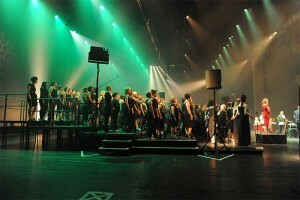 Klaus Blasquiz, a renowned musician best known for his band Magma and musical director of UrbanVoices, had approached L-Acoustics with his wish to provide something special and more immersive for this year's event. 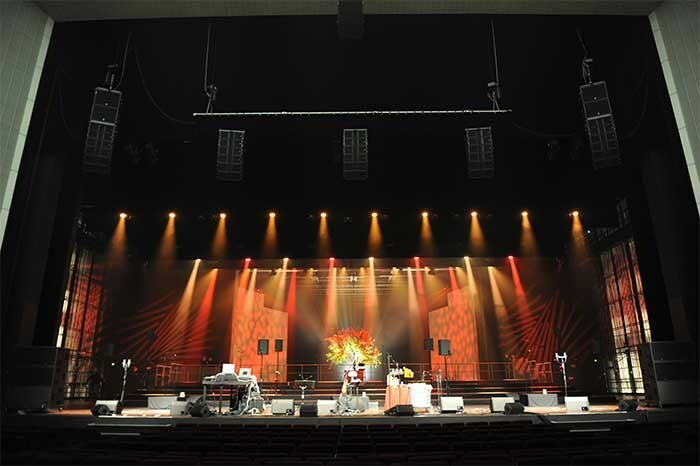 Sherif and his team produced a design for an L-ISA Live setup for UrbanVoices consisting of five L-Acoustics Kara arrays of six elements each for the scene area, plus two 12XT per side for extended panoramic expansion. This frontal system was complemented by two flown SB18 per side for low frequency extension and stacked SB28s on the stage floor for ultra-low frequency content. 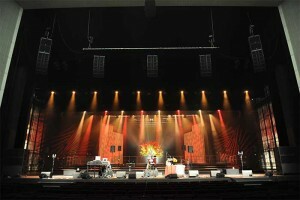 Frontfill was handled by six 8XT speakers along the downstage edge. “The choir was divided into two groups of 500, alternating throughout the six performances over the weekend,” says Sherif. “The beatbox performers produced unbelievably low frequency content, which justified the use of large subwoofers to handle their signal. 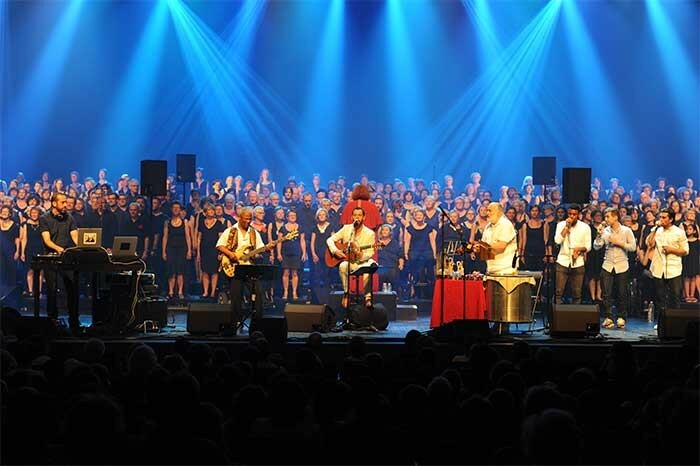 "L-ISA Live connects the sound with the visual image of the artists performing on stage,” adds Mickaël Sourisseau, technical manager of La Cité des Congrés. 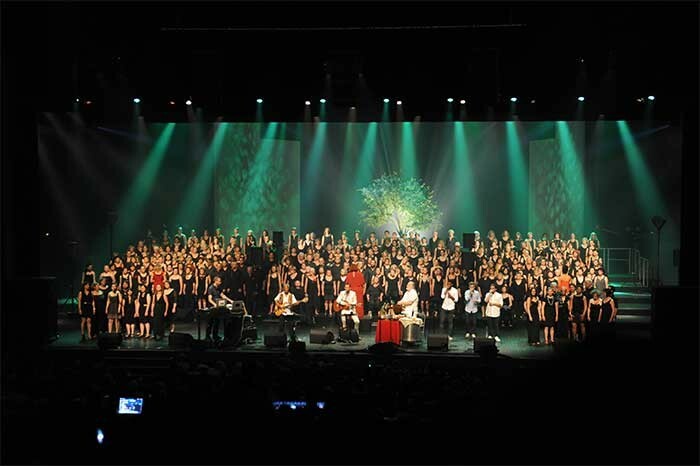 “It allows every member of the audience optimum sound and consistency with what they are seeing, not just those in the seats located in the central axis of the scene.